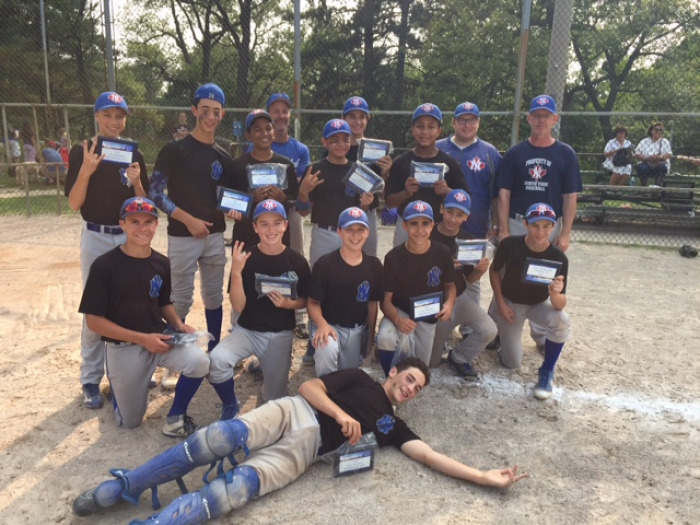 North York started the tournament win a 14-2 over Etobicoke which featured a grand slam by Nicolas Daoust in the sixth inning. In game 2 the Minor Bantams beat North Toronto 7-0 to directly to the finals. Eli Press pitched 5 innings with 13 strikeouts including 8 straight to start the game. We moved directly to the finals versus Leaside who took game one bus score of 5-3 setting up a one game showdown. The Minor Bantams took the championship game 6-0 on a 6 1/3 pitching performance by Zach Kourous. Congratulations to the AAA NY Minor Bantams.